We strongly support hydrotherapy for your arthritic dog as a means of improving exercise tolerance, weight loss and joint flexibility. Here are a few establishments with this facility. Talk to your local vet about others. Whether you want Hydrotherapy for your dog or just a fun swim in a clean environment, Aquadoggies is the place for you. No vets referrals required. Crosgold Canine Hydrotherapy Pool and Grooming Centre, UK. Adams Canine Hydrotherapy located in Darley Abbey village near Derby in the Midlands, is dedicated to the improvement of your dogs well-being and general health through controlled hydrotherapy treatment..
Ashbourne Canine Hydrotherapy Centre is based in Derbyshire, UK. We specialise in Canine Hydrotherapy Treatment. Canine hydrotherapy by Canine Hydro Healing. Canine hydrotherapy, hydrotherapy for dogs by canine hydro healing. Serving Sussex, Surrey, Kent and the south east of England. 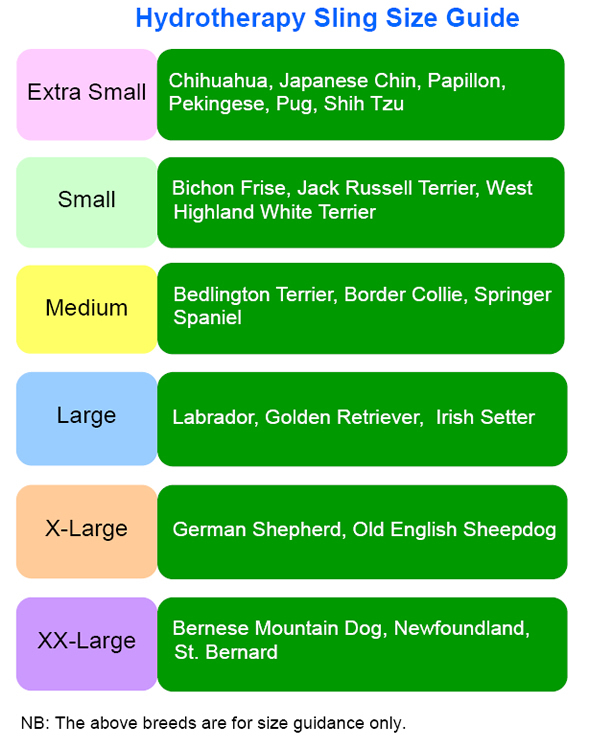 Boarding kennels for dogs, cats and small animals. 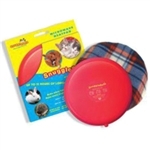 Canine hydrotherapy pool, grooming salon wholesale pet food supplies, tropical fish sales. Welcome to coppergate Luxury Dog kennels and hydrotherapy pet pool in scarborough. Are you looking for a friendly, purpose-built luxury environment to swim your dogs? If so, DoggyPaddle canine hydrotherapy pool is the place for you. Canine Hydrotherapy & Grooming - Dog Swimming for all dogs, for health reasons eg Hip Dysplacia, injury, and for fun. Also home of Rieyonne German Wirehaired Pointers and Cocker Spaniels. Huge 10m x 5m indoor heated pool swimming pool for dogs, for post-operative hydrotherapy, physiotherapy, arthritis, obesity, fun and fitness swimming. Boarding Kennel, Cattery and Canine Hydrotherapy Centre based in East Anglia, UK. The Canine Hydrotherapy Association is your resource to find a pool for your dog to aid recovery and reduce pain. Paddles specialise in aquatherapy for mans best friend, good therapy for dogs with walking disorders, excercise for post operations. Rainsbrook Vets - Warwickshire veterinary surgeons specialising in vaccinations, animal surgery and health. Rainsbrook Vets - Warwickshire veterinary surgeons specialising in vaccinations, animal surgery and cat & dog health. North Wales Canine Hydrothrapy, swimming dogs for Rehab, Fitness, Weight Management and for Fun! The Dog Spa hot tub & dog swimming pool offers a range of canine hydrotherapy treatment programmes to help your dog enjoy a full and active life, Blackwood, near Cardiff, South Wales, UK. 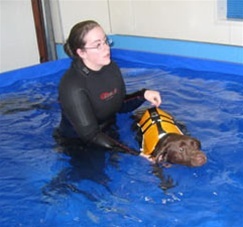 Canine Hydrotherapy centre in Oxfordshire, UK. Swim your dog in a warm comfortable environment supervised by a trained hydrotherapist. Fitness and rehabilitation programmes for dogs of all ages and fitness levels.